Sister Ann Astell presented on “The Child Saints of Fatima and the Call to Conversion” for the first of seven game day “Saturdays with the Saints” lectures hosted by the McGrath Institute for Church Life. 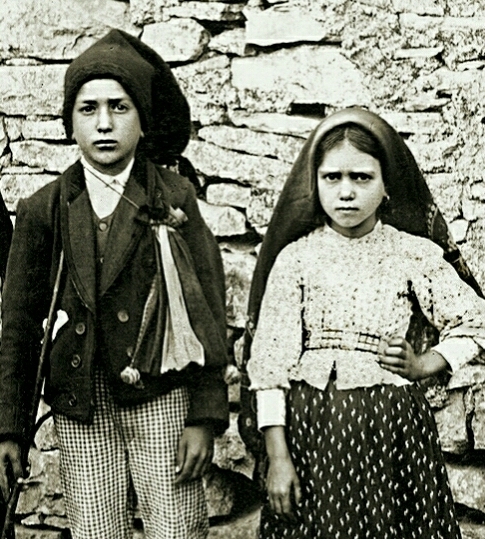 Sr. Astell discussed the example of childlike faith recently canonized saints Francisco and Jacinta Marto and their cousin Servant of God Lucia Santos provide for the faithful today. She focused specifically on the children’s roles as players, active dependents, and secret keepers. Sr. Astell began by explaining how the innocent play of the children and their “role as players” gave a glimpse of their personalities, which evolved over the course of their encounters with Our Lady. She referenced the 1952 film The Miracle of Our Lady of Fatima and its depiction of the children’s games and shortened form of the Rosary, simply praying “Hail Mary!” Following the apparitions in the subsequent months, the children’s form of play and attitudes toward prayer changed. When the publicity surrounding the apparitions became overwhelming for them, they played hide and seek away from the crowds and questioning. They increased their time for prayer, praying a full rosary and more per Our Lady’s request. Sr. Astell remarked, “They followed the rules of the (new) game to be truthful, patient, and kind and make of these difficult experiences reparatory sacrifices offered for the souls of sinners and the peace of a world at war.” She described how they gave their lunches away, wore penitential ropes, and even rejected cold drinks, desiring to make everything a sacrifice for the sins of the world and make Mary’s intentions their own. This obedience to Our Lady led Sr. Astell to her second point: the children as “active dependents.” The vulnerability and trust of the children led them to cooperate fully with Our Lady. Sr. Astell saw this exemplified in the Miracle of the Sun apparition on October 13, 1917, where crowds numbering 70,000 were skeptical, impatient, and close to rioting. She observed, “the children kept their appointment, actively making themselves dependent on Our Lady.” Although the crowds were unruly, the children maintained peace, rooted in their steadfast devotion to her. In addition to the children’s play and trust in Our Lady, Sr. Astell also expounded upon their role as “secret keepers.” She cited many studies about a child’s love of finding hiding places and keeping his or her treasures safe. She observed that the child saints of Fatima, St. Therese, and St. Bernadette, who all encountered Mary in various ways at a similar age, acted as ordinary children while they struggled with the desire to keep safe their intimate encounters with Our Lady, yet also yearning to share their immense joy with others. After the first Marian apparition, the children decided not to share their meeting with Our Lady with anyone, but, as Sr. Astell explained, “Jacinta, unable to contain herself, blurted out the news of about the ‘Beautiful Lady from Heaven’ to her (family).” The children learned from this mistake, though, and realized that, as Sr. Astell added, “there were certain things too wonderful or too terrible (such as the visions of Heaven and Hell) for them to say.” They felt it better to be silent than to explain what they saw poorly or have inconsistencies in their descriptions. Mackenzie Kraker is a junior living in McGlinn Hall and studies biochemistry and theology. This summer she had the joy of being a Totus Tuus Missionary and now knows some great songs and skits and how to teach the mysteries of the rosary to 1st-6th graders. Contact her at mkraker@nd.edu should you want to ask about her enthusiastic but very poor singing voice.